Have you prayed any dangerous prayers lately? What are those, you say? Dangerous prayers are the kind that, when answered, make you sorry you ever asked. For instance, the Israelites prayed a dangerous prayer after they had been slaves in Egypt for four hundred years. Let’s look more closely at that one. “Would that we had died by the Lord’s hand in the land of Egypt, when we sat by the pots of meat, when we ate bread to the full.” (Exodus 16:3) They said that even before they started wandering in the wilderness for forty years. “‘Why did we ever leave Egypt? '” (Numbers 11:20) Even though God had done great miracles while delivering them from slavery, they were sorely pressed in the process. God’s promise that they would inherit their own land beckoned them forward yet they wished they had never asked for freedom. The truth is that they would never have cried out to the Lord in the first place if their affliction in Egypt had not been so severe. For better treatment as slaves they would willingly have stayed put because it was comfortable and safe. They really had no idea what freedom would feel like or what would be required to obtain it. That’s why, when they began to feel pinched; God lifted his hand and let things get much, much worse. God is more than willing to answer because it was his idea in the first place to free us from any “slavery” we live with. Like the Israelites, we don’t know what our dangerous prayer is going to require. With our character at stake, God doesn’t usually just snap his fingers. He may part a couple of seas to start us off but a desert probably isn’t far behind. Genuine freedom will require faith and faith grows best in the soil of difficulties. Otherwise, why would it be called “faith”? Suddenly, we are in adversity such as we never imagined. Our desert is so hot we don’t even relate our circumstances to the prayer we uttered in the beginning with such sincerity. As far as we know, we have been abandoned and all God’s promises are mirages. 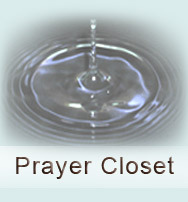 It is when we are stripped bare that the weight of our prayer is fully realized. It is then that we too may begin to whine and beg to go back to our own Egypt. “We remember the fish which we used to eat free in Egypt, the cucumbers and the melons and the leeks and the onions and the garlic.” (Numbers 11:5) Resist that. Don’t look back; press on – the Promised Land is ahead and you will get there. The thing that you prayed is the very thing God wants for you – freedom – and each trial is unhooking you from whatever prevents your experiencing it. Remember that in the case of the Israelites, they were out of Egypt long before Egypt was out of them. 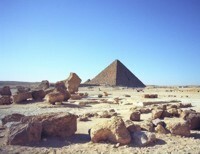 Do you have a little Egypt still in you? Don’t worry; the desert will burn it out. Whether you know it or not, that was the whole idea behind the dangerous prayer. Freedom often takes longer than you expected. This was very enlightening. Perhaps it was my dangerous prayer several years ago that has put me where I am today. I’m pressing in and believing He’s working it all for my good. Hooray. Keep it going! Who knows how far the Lord will take you.